Greyson is using Smore newsletters to spread the word online. It was an Act of Parliament of Great Britain. They wanted to undercut the price of illegal tea. 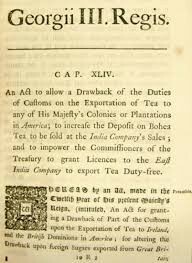 It granted the right to directly ship its tea to North America and the right to duty-free export. It received the royal assent on May 10, 1773. Colonies recognized the implications of the Act. The Company's authorized consignees were harassed. In many colonies, successful efforts were made to prevent the tea from being landed. 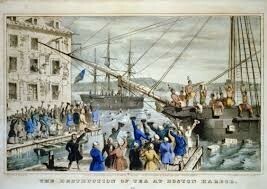 Colonists boarded tea ships anchored in the harbor and dumped their tea cargo overboard.